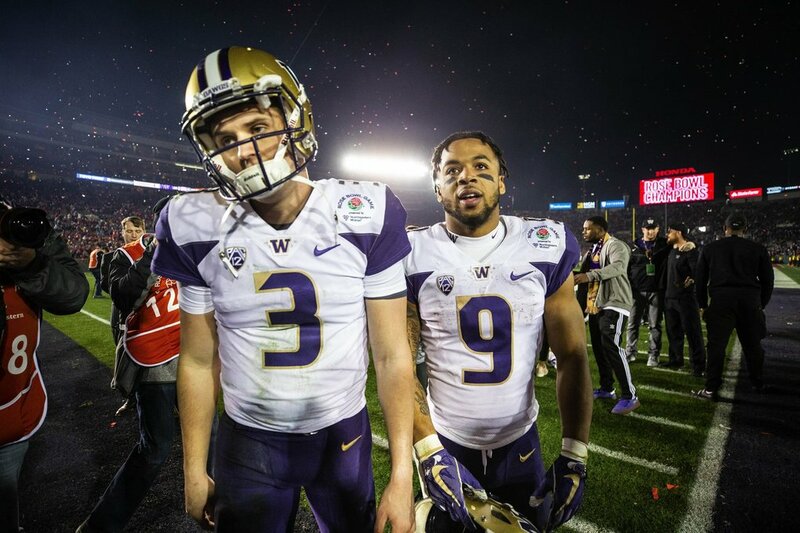 (Washington Coach Chris Petersen) “should be thanking ESPN for actually having a relationship.” – MSESPN’s Kirk Herbstreit. 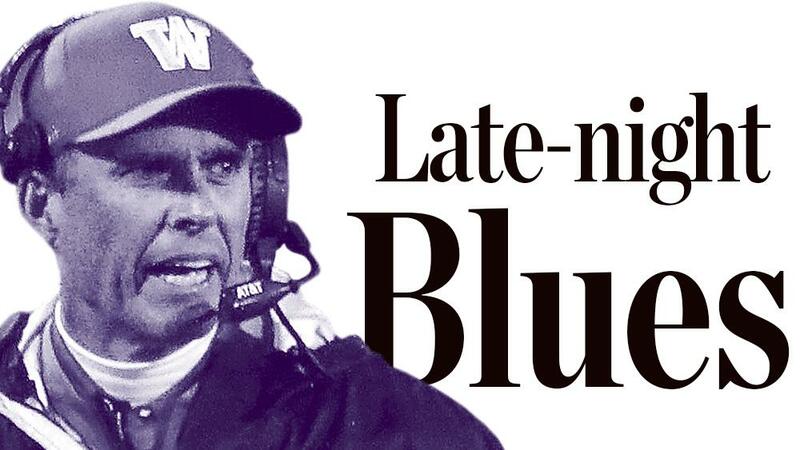 How dare Coach Petersen or any other mortal speak out against Made for Sports Networks/ Night Owl football games. 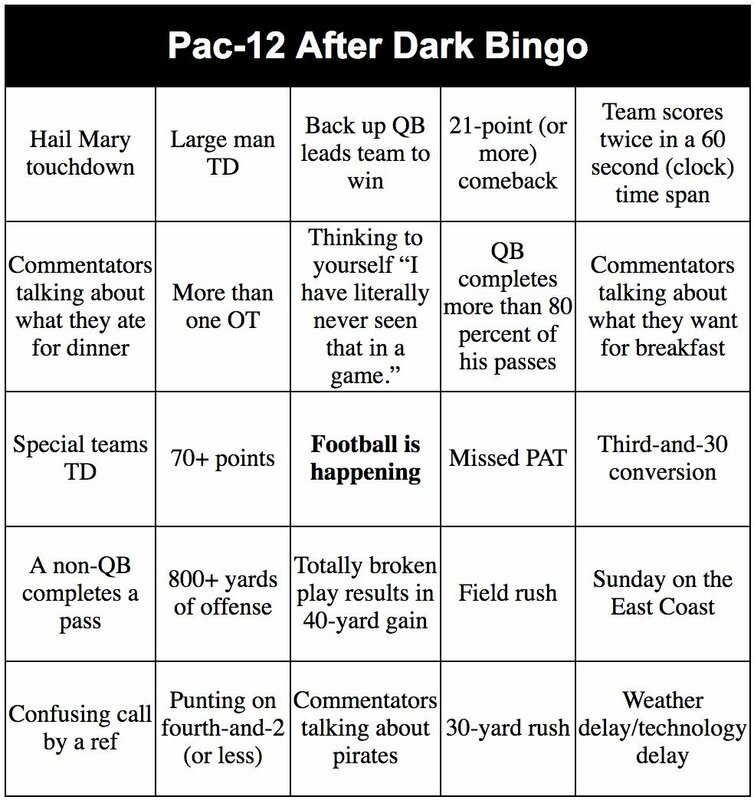 The Pac-12 and its $3 billion network masters have come up with this season’s not-so-subtle marketing spin: “Pac-12 After Dark.” The purpose is to provide Atlantic Seaboard and Midwest late-night programming for MSESPN and Fox Sports. 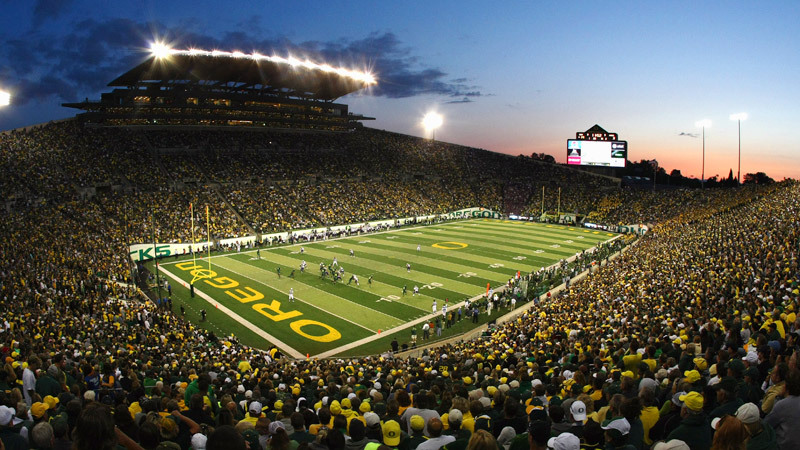 What’s next for the conference: “Pac-12 After Midnight or Midnight Football Madness”? Naturally, the three time-zone separation of the Left Coast and two hours for the forgotten time zone (e.g., Mountain) are a pure fact of geography. No argument. 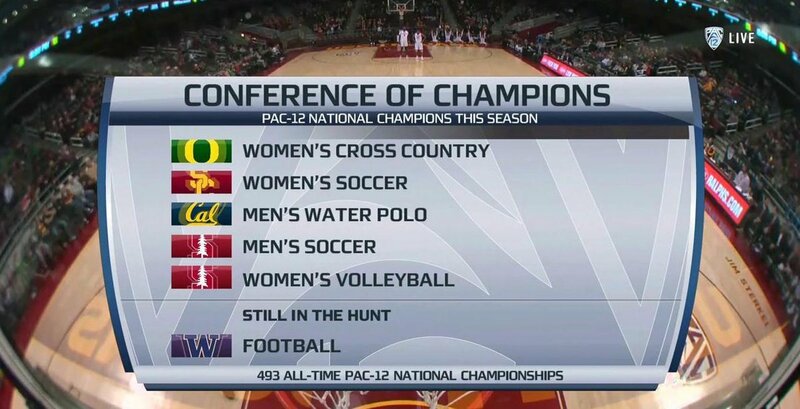 But does mean the Pac-12 should kiss the rings of the network masters? More to the point, the late-night Pac-12 kickoffs make it oh-so-easy for the Football Pharisees on in God’s Time Zone (e.g., Eastern) to only focus on their anointed conferences: ACC, Big 10, Big 12 and of course, the ESECPN. 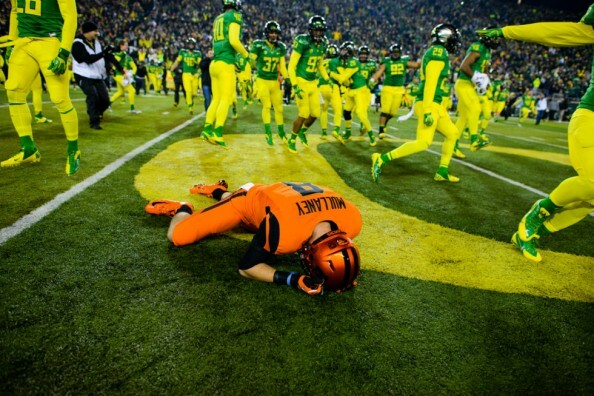 The Pac-12 champion has already been ruled out of the playoffs. Thank you Heather Dinich. 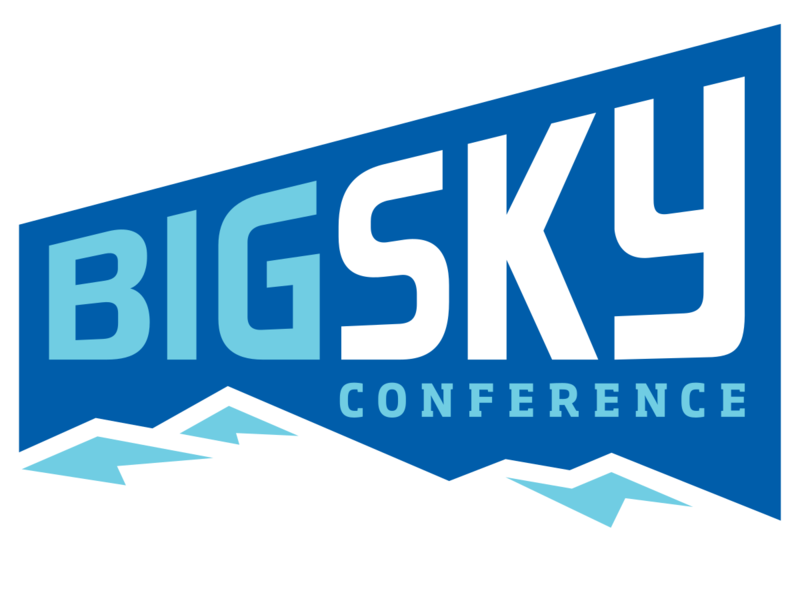 The Big Five Conferences are in reality in the Big Four Conferences. Whattyathink Big 10 Joey Galloway and Herbstreit? Concur SEC Jesse Palmer and Rece Davis? These nocturnal kickoff times (e.g., 10:45 pm EDT/7:45 pm PDT for last night’s USC vs. Arizona game) are rendering the “Conference of Champions” as virtually irrelevant when it comes to the College Football Playoff, but these games do provide entertainment before last call is proclaimed. 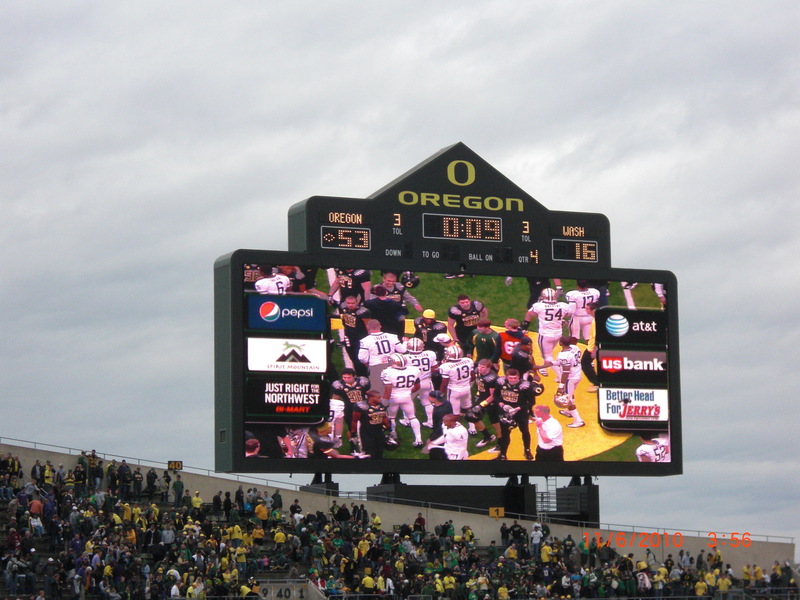 When will the Pac-12 Conference championship be decided? The answer is December 1 at 8pm EST/5 pm PST in traffic gridlocked Santa Clara, CA on a Friday night. And when will the other major conference games be played? All of them are on Saturday, December 2: ACC in Charlotte, Big 10 in Indianapolis, Big 12 in Arlington, and SEC in Atlanta. 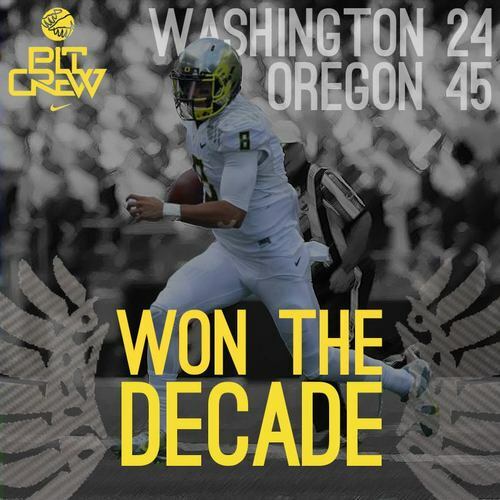 The Pac-12 champion will be yesterday’s news … literally. 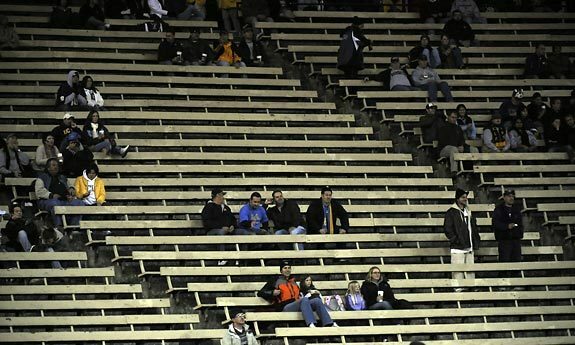 Thank you so much Pac-12 Commissioner Larry Scott for selling out the conference to the lowest bidder. The author of Almost DailyBrett resides in one of the six Pac-12 states, so does that mean I can watch Pac-12 Networks? If you subscribe to Charter Cable or Direct TV, the unfortunate answer is you can binge watch the SEC and Big 10 networks on the left coast, but not Pac-12 Networks. 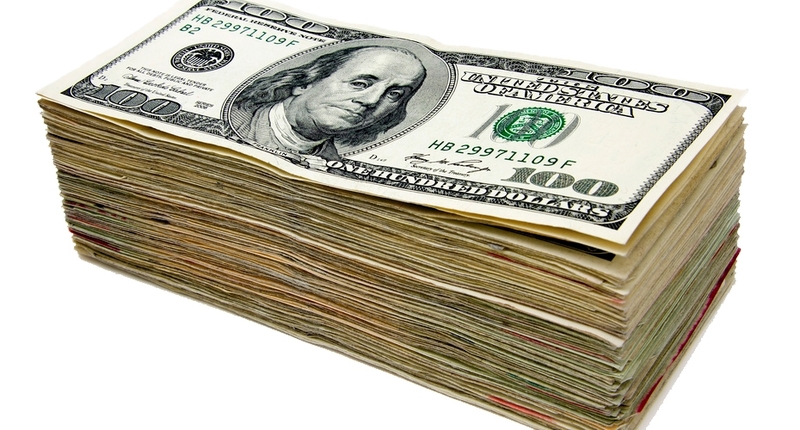 Reportedly, the conference has been in “negotiations” with these two providers for four-plus years. What good is it to live in a Pac-12 state and watch Southern Eastern Conference and Big-10 sports? If a conference network is not available to its suffering fans, does the network make any sound? And when our games are actually selected for broadcast for the major networks, you get to wait for the real major conferences to play their games before our nocturnal kickoffs. Where Are the Pac-12 University Presidents? 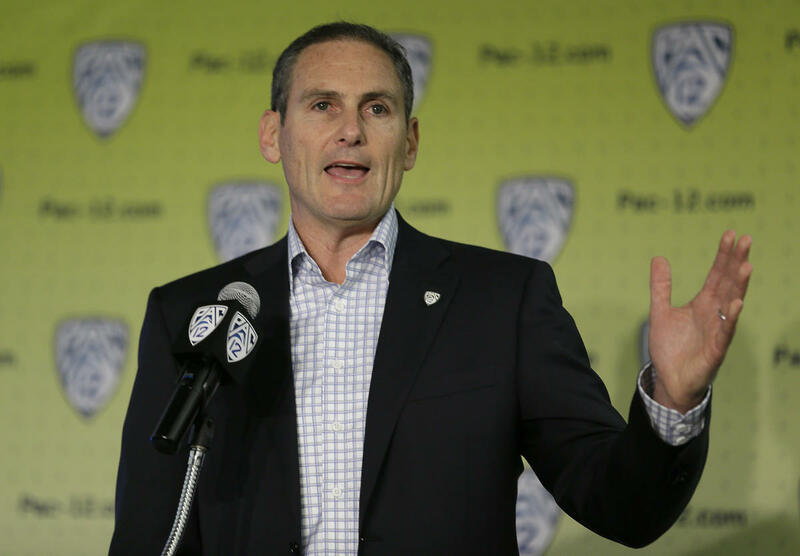 Larry Scott was hired to shake up the sleepy Pac-12 commissioner’s office. To his credit, he brought in the all-important Salt Lake City and Denver media markets with the accession of Utah and Colorado to the Pac-12. At this point the move appears to have benefited the two Mountain Zone schools with meager benefit to the rest of the conference. The aforementioned Pac-12 Network is giving MSESPN and Fox Sports more reasons to avoid the conference teams with the possible exception of big market, USC. The questions remain: Where are the Pac-12 university presidents? 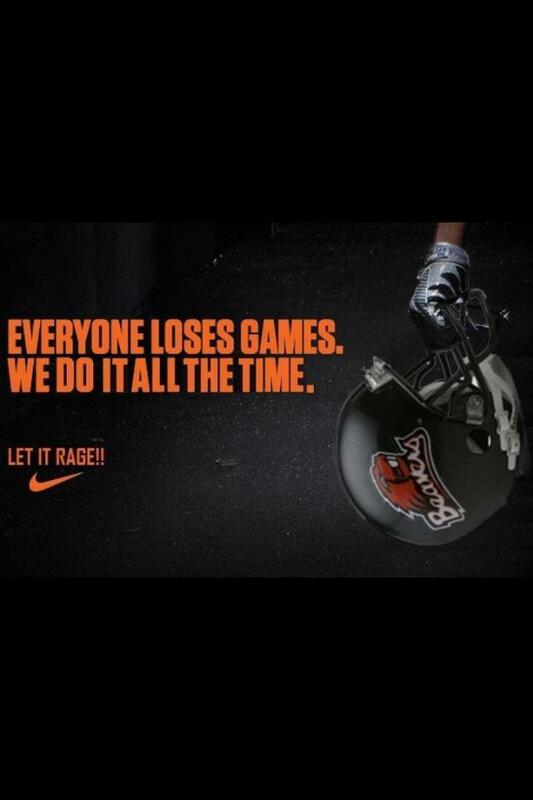 Do they care more about television contracts than their students, alumni, student-athletes and fans? Do they not comprehend the safety issues for thousands of people who are driving in the wee-morning hours after literally hours of libations and football? 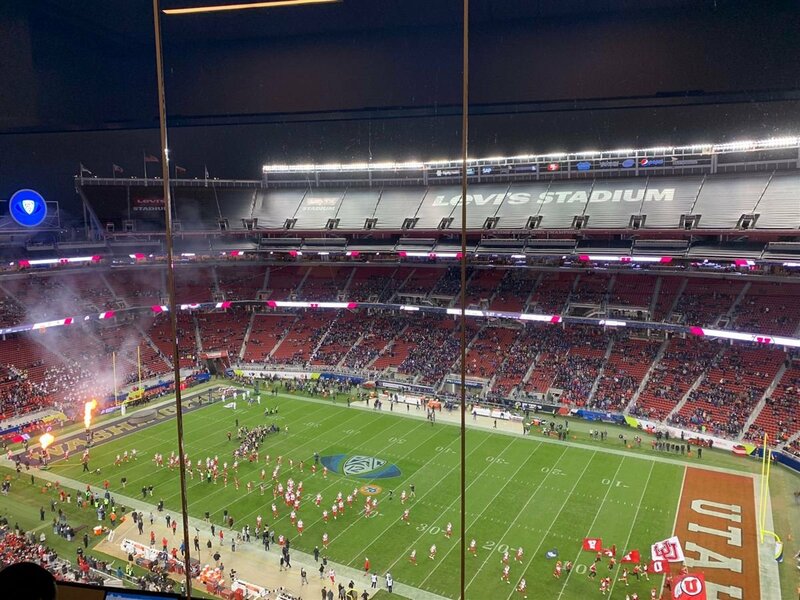 There was a day in which Pac-12 games were played at civilized times including 12:30 pm, 1 pm, 3:30 pm and 5 pm, which allows them to be in the half-time discussions on the east coast. Why can’t the university presidents deem that conference games will start no later than 6 pm PDT/PST and 7 pm (Arizona time in regards to the early fall heat)? Is Larry Scott all hat and no cattle?